Video Door Phone CV-VDKTS702 - wired video door phone - Products - Catchview Electronics Co., Ltd. - Catchview Electronics Co., Ltd.
1.Ultra-thin design luxurious style touch screen indoor machine, leading the new trend of color video door phones. 2.Indoor monitor with desk bracket and mounting plate. 3.Waterproof, anti oxidation and wear resistance outdoor unit, equipped with rain-proof cover, support embedded installation and hanging garment two modes. 4.With IR night vision function. 5.Outdoor Camera with waterproof function. 6.6 cores wire connection between indoor monitor and outdoor camera. 7.No radiation, low power consumption, high definition 7 inches color images. 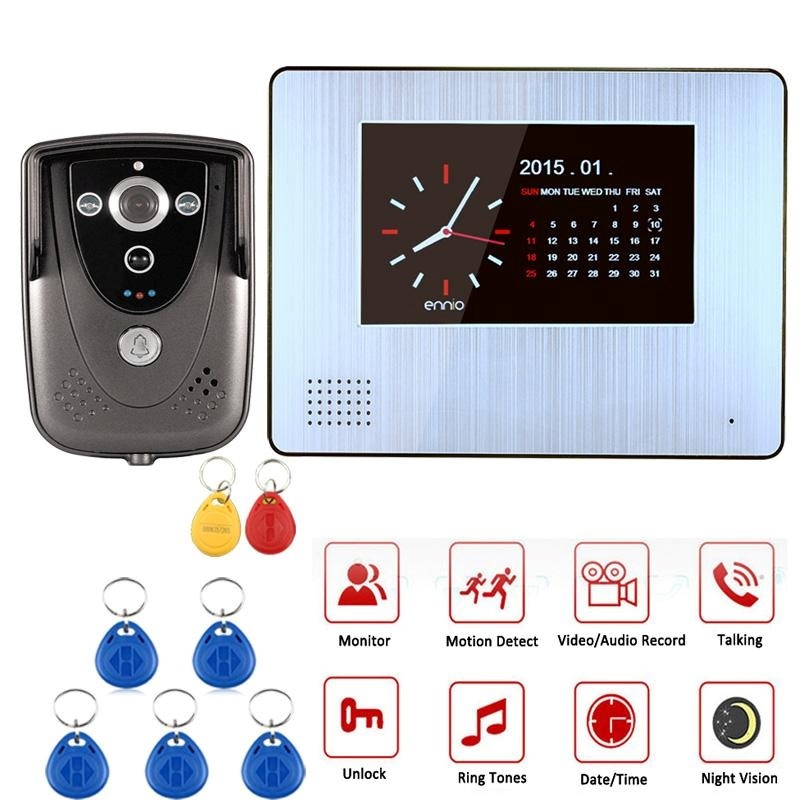 8.Monitor, intercom, unlock,hands-free, chord rings choice. 13.With PIR video & audio record function. 14.With Chinese & English Menu. 15With Calendar & Playback function. 16.With automatic overwrite function,max to support 32G SD card. 17.Standby time,unlock time delay & PIR can be turned on or off.